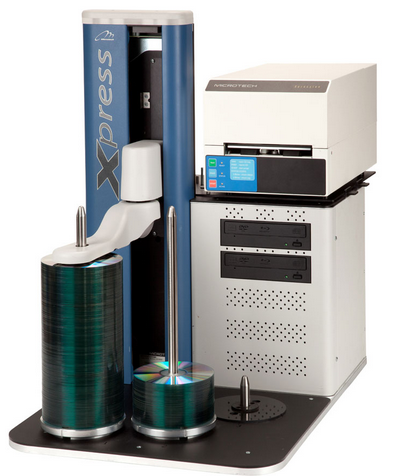 Microtech's Xpress XP is the perfect system for creating discs with unique content in a networked environment. 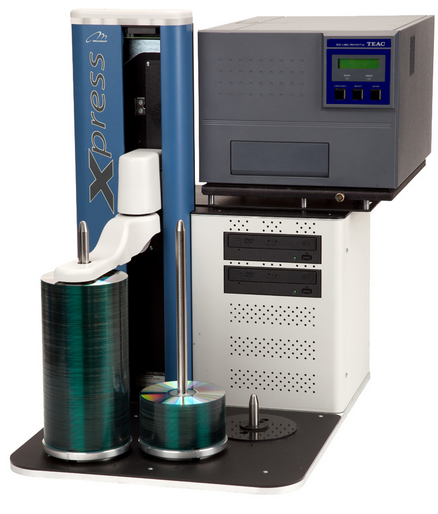 With the highest throughput, fully scalable architecture, and network ready operation, Xpress XP is a disc publisher in a class by itself. 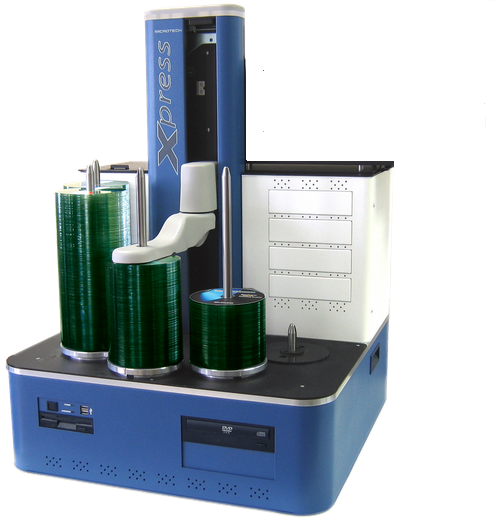 Each Xpress XP unit includes a 600-disc capacity robotic handler and integrated server PC for maximum throughput in a networked environment. 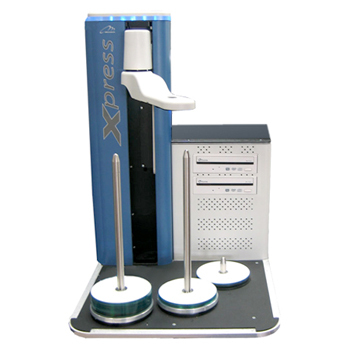 Xpress XP is a scalable solution, using Microtech publishing software, or creating your own application with the API. A typical installation has one or multiple Xpress XP units publishing from your network in unison. Our ImageMaker Software comes fully installed and ready to run. In order to meet with today's security standards, our publishing software enables you to copy-protect your discs as well as encrypt them with dynamically generated serial numbers. Automatically print text and graphics on to your discs with the highest-quality inkjet or thermal disc printers on the market. Our inkjet printer provides up to 4800 dpi print resolution with the sharpest photo-quality text and graphics imaginable. DVD Video and DVD-ROM, ISO 9660, HFS, mixed-mode,hybrid, audio (CD-DA), Video CD, CD-ROM/XA, Joliet, Romeo, Rockridge, UDF, CD-I, CD Plus, and CD+G(Karaoke) formats.